ALREADY having their programmes disrupted by Carnival activities, sporting organisations which call Skinner Park, San Fernando their home will have to move out on Ash Wednesday. The organisations have been issued with a letter from CEO of the San Fernando City Corporation Indarjit Singh informing them the Park will be closed on March 6 to facilitate an upgrade for the next 18 months. While they have no issue with the long overdue upgrade, they are peeved by the lack of consultation and the fact that they are being forced out without any alternative arrangements in place to accommodate them. Cook said there was no consultation before the sporting groups received their letters. Cook said tennis is the sport that would suffer the most as there are no available tennis courts in the south region since Petrotrin closed its doors. Having worked with the Ministry of Sport as a tennis instructor, Cook said sport is a valuable tool in the fight against crime. “We don’t want to see crime levels go up. 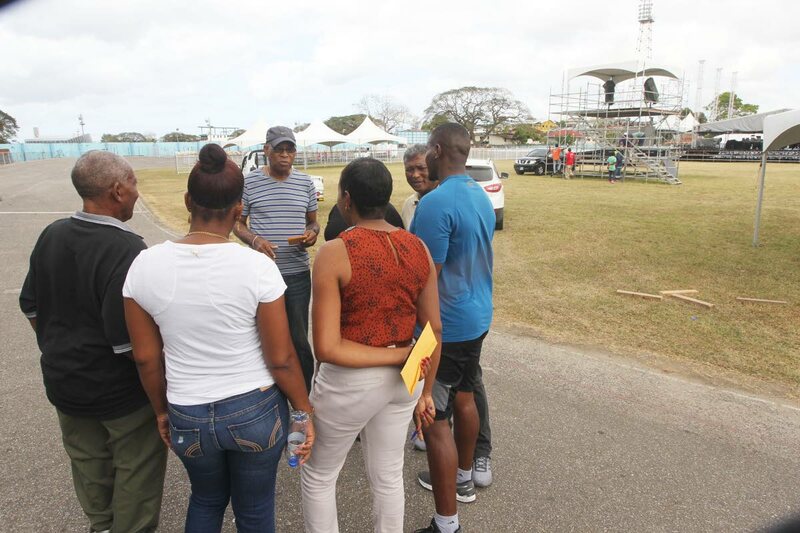 We would really like to have a facility where we can harness the youths of the south land and have them doing something positive, rather than have them liming at the street corners,” he said. Finance Minister Colm Imbert first spoke of the project, to be undertaken by the Urban Development Corporation of TT (UDECOTT) in his 2019 budget speech, but the organisations said the only communication received was the January 29 letter from Singh. “What does this mean, that we have to vacate these premises before March 6?” president of the Southern Football Association (SFA) Richard Quan Chan asked incredulously. “The SFA would like to state clearly that we have no objection to any enhancement of the Park, but we should be in a position to have an input as to what is going to take place. We have two weeks to clear out of this office. Look around,” he said, pointing to the many trophies, documents, sporting gears and other items on shelves and in storage, “We have been here for over 50 years, where are we going to store these things? He said the said the Manny Ramjohn facilities is not an alternative as its lights are only good to "host a dinner – candle lights”. Netball player and coach Wilma Hamlet said coaches students from San Fernando Central Secondary (Mod Sec) and Open Bible Secondary from Monday to Friday in Skinner Park. President of San Fernando Netball League Sherry Ann Blackburn said the manner in which they have been notified about the Park’s closure was not in keeping with best practice. Responding to their complaints, Singh denied his letter was an “eviction notice”. San Fernando Mayor Junia Regrello said arrangements would be made to have dialogue with the stakeholders. He said the councillor responsible was supposed to have met with stakeholders and bring them up-to-date with the development, but apparently this did not happen. Reply to "Sport groups complain about Skinner Park ‘eviction’"